Hansika is all set to announce the title of his film on August 11th. The title of the film will be announced by Dhanush, which will also mark Hansika’s 50th film of the career. There was a time when the actors dominated the screen space and the heroines playing the sidekick. But now, those are the days of the past as more and more scripts are penned bearing the heroines in mind. Young directors take the bold and brave path of glorifying the role of the heroines with precision. 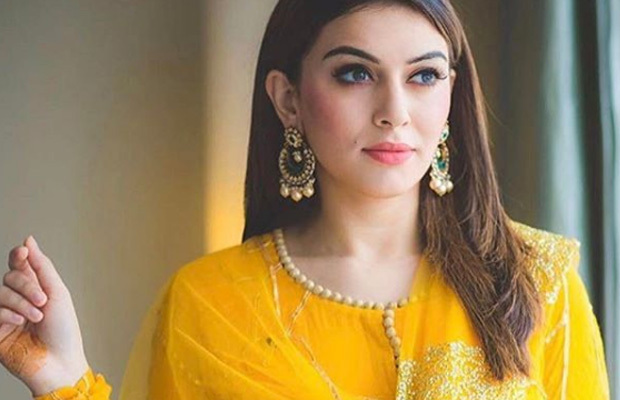 Young filmmaker U.R.Jameel, who has penned a script for Hansika is all set to announce the title of his film on August 11th. The title of the film will be announced by Dhanush, which will also mark Hansika’s 50th film of the career. “The final touches to the scripting is over and done. The protagonist role is very well defined. It needed a lot of conviction, grace, charm and tint of boldness to play this role. Hansika fits into this role with self-right and self might. We are all set to announce the title on 11th August, Incidentally, it happens to be her 50th film and I am extremely delighted to direct her landmark film. Dhanush sir had graciously come forward to release the title on his Twitter handle at 8.30pm. His pan Indian appeal will provide a large platform for this film,” says director U.R.Jameel. U.R.Jameel was earlier associated with films like Masala Padam, Romeo Juliet, and Bogan in his capacity as an assistant and associate director.